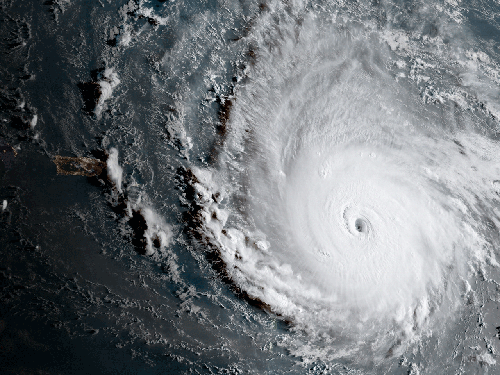 Hurricane Irma, one of the strongest storms to impact the Caribbean and U.S. in history, made landfall at several points along its catastrophically destructive path in early September 2017. Image credit: NOAA. That's all great! But are the batteries fresh? Is your insurance coverage adequate? Have better evacuation routes been created? Have those phone numbers changed? Preparedness requires continued vigilance to ensure that the best laid plans are reviewed regularly, equipment is maintained, and the plan is tested to make sure it works. Then, once you’ve tested your plan, you will probably find there are improvements to be made. Being prepared is not a one time effort. Through 40 years of emergency preparedness, response, and recovery experience, the Office of Response and Restoration knows that a truly effective preparedness posture requires constant vigilance and continuous improvement. The National Ocean Service agrees! The Office of Response and Restoration is honored to support the National Ocean Service through the development of the Disaster Preparedness Program and its mission to prepare NOS and partners to respond to and recover from pollution events and natural disasters. The 2017 hurricane season was the most costly hurricane season in U.S. history, with damages estimated at over $200 billion. The National Academies of Sciences, Engineering, and Medicine finds that the U.S. should expect a greater incidence of high-intensity storms, producing substantially more rainfall. To address this and other escalating threats to coastal environments, communities, and economies, the National Ocean Service is bolstering its ability to respond quickly and effectively to coastal storms and other disasters. The new program will expand on the current program activity of the Gulf of Mexico Disaster Response Center, and streamline existing operational capabilities and knowledge to ensure that commerce, communities and natural resources can recover as quickly as possible. The Disaster Preparedness Program will focus on providing disaster response and recovery training, exercises, lessons learned and resources within NOAA and to our emergency response partners across the nation to ensure that we are in the best possible position to respond to coastal threats quickly, safely, and effectively. From Aug. 27-Sept. 4, the National Geodetic Survey (NGS) collected damage assessment imagery in the aftermath of Hurricane Harvey. The aerial imagery was collected in specific areas identified by FEMA and the National Weather Service. Image credit: NGS.